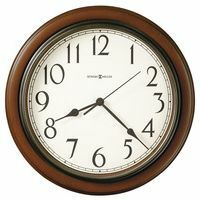 1-800-4CLOCKS is BOTH the name of our Store and our Company -- this is by far the most frequent question we are asked! Our main Store has the registered name 1-800-4CLOCKS (like 1-800-FLOWERS or 1-800-CONTACTS or 1-800-MATTRESS). It is also our telephone number 1-800-4CLOCKS (425-6257). Locally, we can also be reached at 212-579-4576. You can SHOP WITH CONFIDENCE knowing you are dealing with a "bricks and mortar" Store, as well as being an established Toll-Free Seller (formerly Catalog-based, now web-based), and e-merchant on the internet. We have been in business for over 20 years, and 1-800-4CLOCKS has earned an A+ rating with the Better Business Bureau. Our Company, 1-800-4CLOCKS was founded by individuals with a passion for collecting timepieces, and antiques and collectibles of many kinds. Now for over 20 years, we have been dealers in Clocks and Watches of all kinds -- from Antique American, British, French & German clocks and watches, to new clocks and watches by recognized names such as Howard Miller, Seth Thomas, Hermle, Chelsea Clock, Movado Clocks, Infinity Instruments and LaCrosse Technology weather instruments and clocks. We have also specialized in clock and watch restoration and repair, from the largest tower clocks to miniature clocks and watches. Our Company is located in New York (in mid-town Manhattan in New York City), and yet we have a major concentration of customers also from New Jersey, Connecticut, Pennsylvania and Massachusetts. For years, we have served Customers from all over the USA, and MANY around the world. Our customers are individuals, corporations, governments, universities, non-profit organizations, museums, auction houses, and interior designers and interior decorators working for their clients on Home Decor. We cater to everyone from the most serious collector to the beginner looking for a Hobbyshop Online or Store. We aim for 100% Customer Satisfaction! We always strive to bring you the lowest available prices. 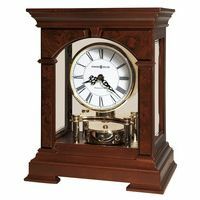 At the same time, we pride ourselves on product selection, and carry the complete line as Authorized Dealers for companies such as Howard Miller and Chelsea Clock. We are also constantly expanding our product lines, to give you more and more choices of items to add to your life. 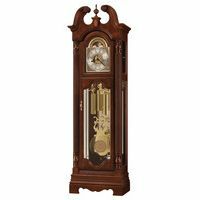 WE ARE UNIQUE in that we carry not only an unusually broad line of new Clocks at the lowest available prices, but ALSO because we carry a Wide Range of Antique Clocks as well, and can find almost any type of antique clock available. Because of this unique combination, our partnerships with Interior Decorators and Interior Designers are unique in the industry. Please look at our website and you will see are NOT your typical or average clock or store. One example is that we both service or restore and repair Antique Tower Clocks (e.g. the famous Big Ben), as well as new Tower Clocks. We sell Antique clocks and new clocks of all kinds. We work with Interior Designers and Interior Decorators to find that "perfect" clock or other item, whether it be a genuine antique, or one of the clocks we sell as an Authorized Dealer for Howard Miller, Ridgeway, Infinity, LaCrosse, Seth Thomas, Movado, Hermle and others. We invite you to shop with us. You may well have found the single source that can meet all your clock needs, and much much more.